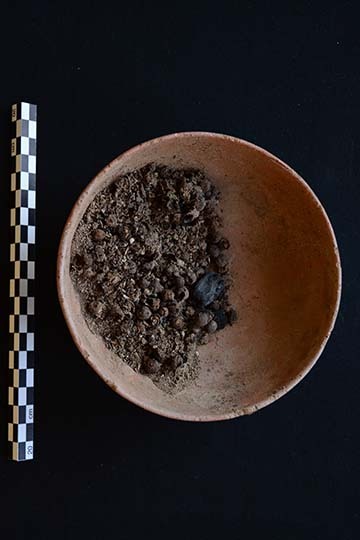 The burial of the elderly woman with a heart scarab mentioned in earlier blogs, whose name appears to have been Weret, had a bowl full of juniper berries placed next to her coffin. One species, Juniperus phoenicia, is native to the Middle East and North Africa, including Egypt. Juniper berries are perhaps best known as the flavoring for Gin, but in our context they would have been used as a spice in food or as a scent for perfume. The berries have been found in a number of ancient Egyptian tombs, including that of the royal architect Kha and Tutankhamen, both of whom were exceptionally well provisioned with food and spices. Like our lady, they wanted to eat well in the afterlife!